Hailed around the world as one of the greatest movies ever made, the Academy Award–winning Bicycle Thieves, directed by Vittorio De Sica, defined an era in cinema. In poverty-stricken postwar Rome, a man is on his first day of a new job that offers hope of salvation for his desperate family when his bicycle, which he needs for his work, is stolen. With his young son in tow, he sets off to track down the thief. 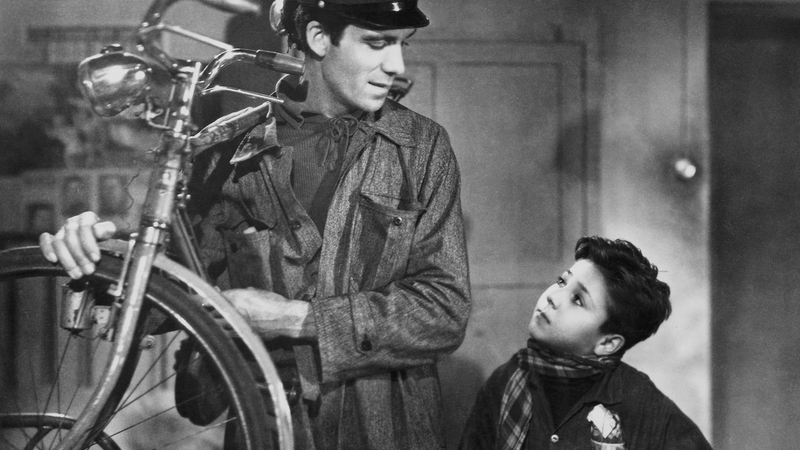 Simple in construction and profoundly rich in human insight, Bicycle Thieves embodies the greatest strengths of the Italian neorealist movement: emotional clarity, social rectitude, and brutal honesty.